What is Subaru SSM 3? 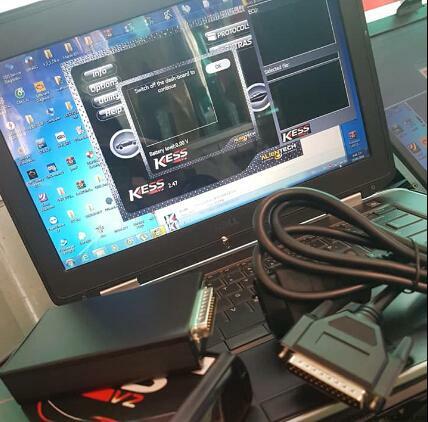 Subaru Select Monitor III (SSM-III) is a powerful fault diagnosis and reprogramming device that has been developed utilizing the latest advanced technology. All System Diagnosis.Selecting this item displays on a single screen the fault detect status of all control system control modules for which SSMΙΙΙ diagnosis is supported, and memorized diagnostic codes. Each System Check. Selecting this item makes it possible to select a particular system from among the control systems forwhich SSMΙΙΙ diagnosis is supported, and perform fault diagnosis. 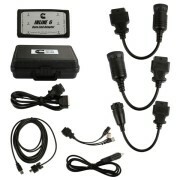 This item can be used to view input/output data of the system control modules that perform fault diagnosis, memorized diagnostic codes, and other data on the PC display. 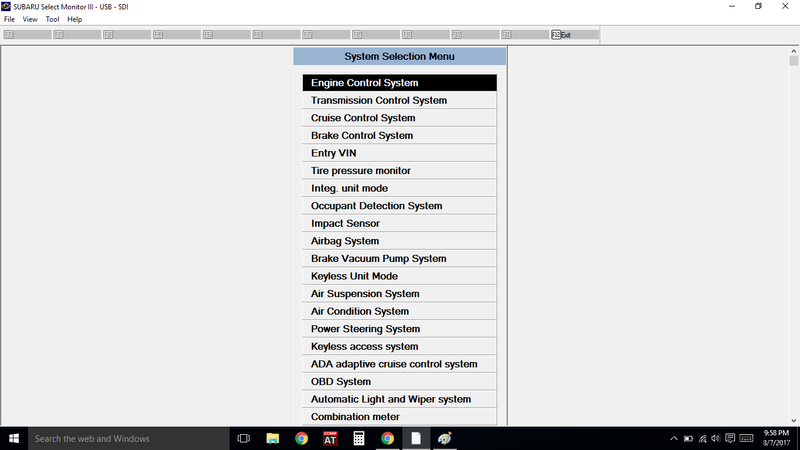 This menu item is also used after repair work is complete to delete diagnostic codes, to configure control module settings, etc. 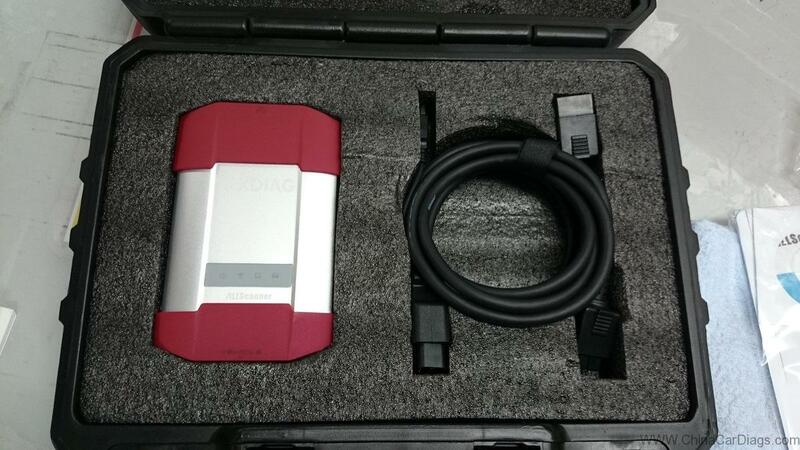 Saved Data Display.This item can be used to save various data sampled during fault diagnosis operations, and to load data for viewing after work is complete. Read CF application measurement data.This item performs reading stand alone measurement data saved in a CF card to hard disk of your PC. 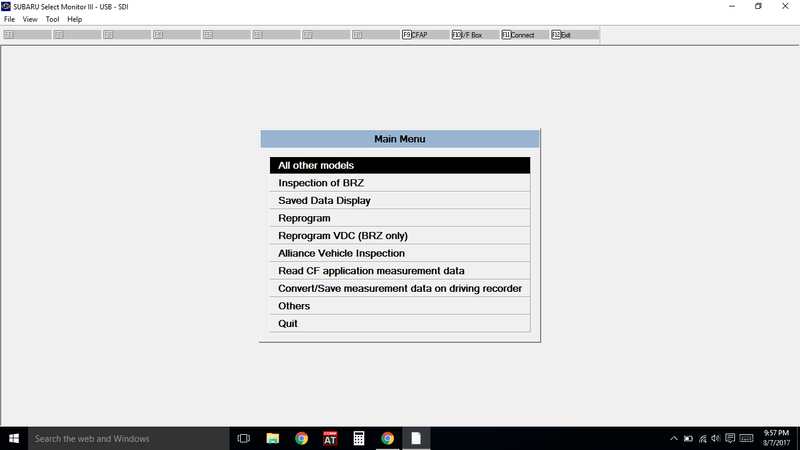 Convert/Save measurement data on driving recorder.Loads data sampled on the driving recorder to the PC from the CF card, and converts and saves that data. I have one off Chinacardiags.com. The only time it came in handy was when i used it to recalibrate the steering angle sensor. The software was a pain to get setup and working properly. It definitely does more than a regular scanner (FreeSSM cable), but I rarely use those features. In fact, you don’t need a scanner at all to access DTCs and ABS codes. Just plug the diagnostic connectors together and do a couple other things that I can’t remember and the codes will flash in the gauge cluster. It just depends on if you think having complete access to all the systems in the car is worth it. It’s nice to have when I need it. I had a VDC code that was for the steering angle sensor. Rather than go to the dealer, I just busted out the knock off SSM and calibrated it in the driveway. Some things I couldn’t get to work. I tried to reprogram a new key with it, but you need a code from the dealer. I also messed up my TPMS. I was messing around and accidentally cleared the calibration. To recalibrate them you need a special tool that puts the sensors into learning mode. I never could find a reasonably priced tool that was verified to work with my sensors. So, if you feel all the features are worth it then you’ll like it. At this point it’s just a novelty for me. I haven’t used it in a long, long time. I posted up a screen shot of the menu for SSM III, so you can see all the different things you can access. Another thing to consider is that it is a pain to get to work. SSM requires a code to gain access. I had to search all over the internet to figure out how to get it working properly. It’s been so long I can’t remember exactly how I did it. I still get error codes when trying to connect to my car, but it connects just fine. VXDIAG Multi Tool DAS Tested on Mercedes B-Class 245: Success!